CHICAGO (WLS) -- Need some cuteness? Take a look at the Shedd Aqaurium's sea otter area, including its newest resident, Ellie. Ellie, a southern sea otter has been at the Shedd for one year now after being rescued from the California coast after a bad storm in December 2015. 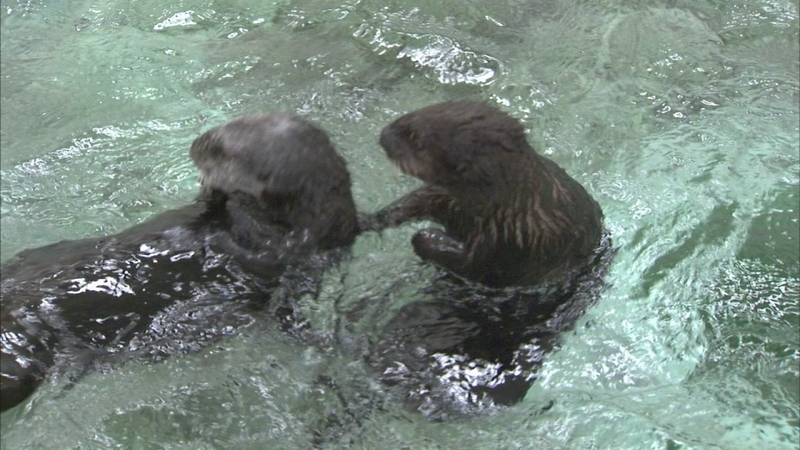 Ellie is now living with the aquarium's four other otters where she plays and perfects her grooming and eating techniques. "From the start she's been a really advanced pup and she's been doing great," said Christy Sterling, the supervisor of the Penguin and Otter Area at the Shedd. "Those first steps of just becoming part of the collection, and learning those first basics of training and our different habitats, she has kind of accomplished all of that at his point."